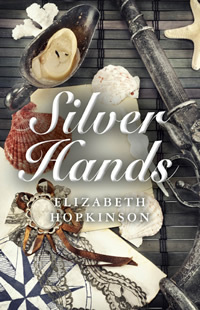 Wow, well that’s an opportunity and a half, Elizabeth Hopkinson todays author on the Thursday Throng is not only giving one lucky commenter a signed copy of her book, Silver Hands, she is also going to send them an exclusive silver wristband commissioned specially to help launch the book. 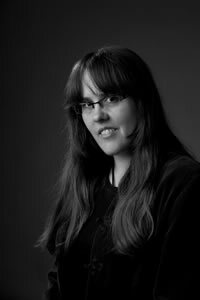 Elizabeth is a fantasy writer who has written one novel and over 30 short stories. She has also tried out interactive fiction for children where they can choose the route they choose through the work. Silver Hands belongs to another of those genres that I’ve said ‘I don’t read’. Part historical and part fantasy it is a wonderful blend of characterisation and setting that reminded me very much of Gulliver’s Travels. The lands that Margaret (our heroine) visits on her escape from the threat of marriage to someone who would absorb her into himself, are many and very varied and her adventures keep the reader on the edge of their seat. Set in 1706, I really wasn’t sure I’d enjoy it, but I loved every bit of it. Elizabeth has a fabulous talent for blending historical fact and myth into a new whole and I’m looking forward to getting my hands on her next novel ‘Cage of Nightingales’, when it is published. This is definitely one to be recommended. Yes, very important. Their name is who they are. I put a lot of thought and care into creating the right names. In Silver Hands, the main character, Margaret Rosewood, is named after my mother. (Her given names are Margaret Rose). In a way, that reflects her similarity to me, but the name also suggests her innocence. (English rose etc.) It is the right sort of name for the period too. (Early 18th century). And I had help from a friend in creating the full name of a character called Taro. It had to be an authentic-sounding name for a feudal lord in Edo Period Japan, but the meaning was important too. So his full name is Shimatani Taro Yasutaka. Shimatani (the surname) means “island valley”, which describes the place where he lives. Yasutaka (adult given name) means “gentle” and “high” which describe his character and rank. And Taro means “firstborn son”. The plot is based on the Brothers Grimm’s “The Handless Maiden”, who is given silver hands to replace her own, lost hands. In my story, there are two sets of silver hands, and both are crucial to the main character’s personal growth. Plus, it’s such a magical-sounding title! Carey Mulligan. I would also choose her to play Margaret. I love her on-screen purity. Finding the self-belief to keep going. Going to Japan in 2011. It was a complete dream come true, and I wish I was back there now. This wasn’t to promote a book, but last year I was invited to read a bedtime story to some people sleeping out to raise money for the homeless. So I was sitting in a car park in a cardboard sleeping bag at 11pm in November, reading one of my short stories. There are pictures of it on my blog. Coffee. With a glass of water on the side. My number one choice would be mocha but I can’t drink it all the time. To be in with a chance of winning your own signed copy of Silver Hands together with the exclusive silver wristband, all you need to do is leave a comment for Elizabeth at the end of this blog post. At the end of next month or in early June we’ll pick a winner and let them know they’ll get the book. Where can you find out more about Elizabeth Hopkinson and buy her book? Elizabeth’s own website can be found here: www.hiddengrove.pwp.blueyonder.co.uk, her blog is hosted by blogspot at hiddengroveextra.blogspot.co.uk. She can be found on Twitter with the handle @hidden_grove, on her Facebook page and on Goodreads. 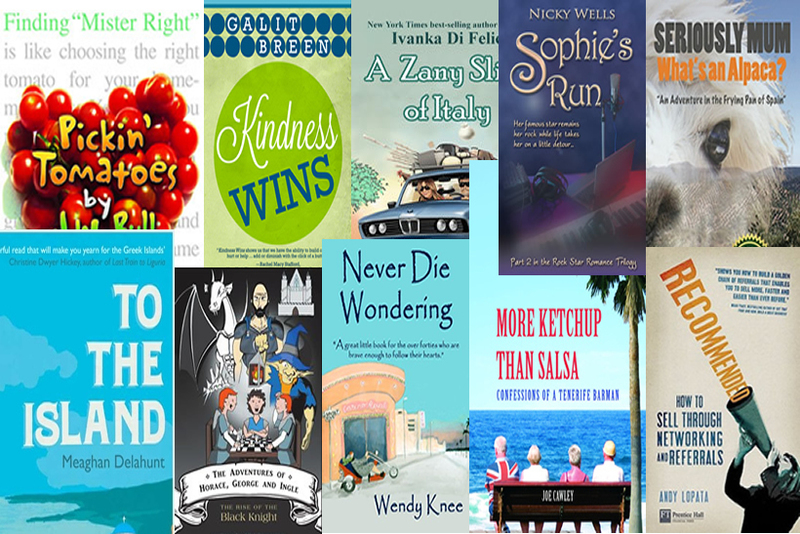 The publisher website is tophat-books.com/books/silver-hands. If you can’t wait for the giveaway you can find her book on Amazon in the UK and on Amazon in the US, and on Goodreads too. Hello, Linda and everyone! It’s great to be here with such a positive review. Happy to answer any questions! Loved to hear how authentic you made the full name of the character Tato. That kind of attention to detail is so important, even if they pass by unnoticed by some of your readers. I quite agree Julie, I think Elizabeth has captured the essence of the time beautifully too. Knowing how beautifully you play the piano and sing, I’d be interested to know to what extent music inspires and/or features in your writing. Interesting question, Maggie. There is a little bit of music in Silver Hands, but the novel I’m writing now – Cage of Nightingales is entirely based on the baroque music scene and opera. The main characters are a flautist and a castrato. Very nice interview!. I liked the dragon swooping down to bite the ears off part. Haha. Also it’s sweet of the author to name her character after her mother. It shows that she emotionally bonds well with her character creations. 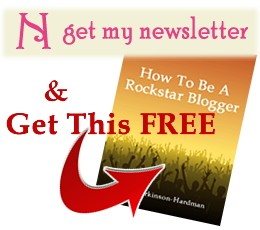 Awesome giveaway – looking forward to reading the book.